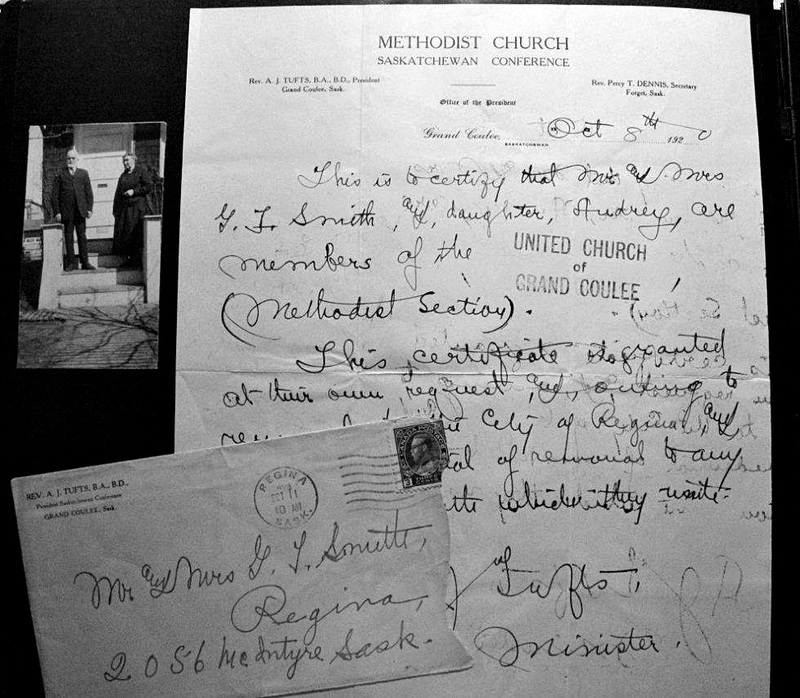 In 1919, when George Cockram Smith was 68 and his wife Louisa was 64, they retired from farming, and moved to Regina with their youngest daughter Audrey. George Jr stayed behind to farm the land at Grand Coulee. This would be the first time George and Louisa had lived in a city since they left Plymouth in 1875/76 - and the first time ever for 20 year old Audrey. 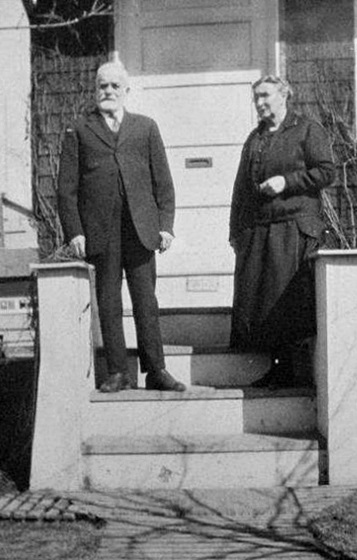 Their first house in Regina was at 2056 McIntyre Street, but they didn't stay there long. By 1922 they had moved to 2353 Broad St - and this was their final home. Neither of the houses still stand. They were located in the oldest part of the city, near the downtown area. The McIntyre St site now has a business on it, and there's an apartment building on the Broad St site. In between houses, George, Louisa and Audrey all went missing. How typical of George to be in the wrong place when census time rolled around. The family can't be found in the 1921 Canada census at either of the Regina addresses (there were other people living in both houses at the time, according to the census), nor were they staying with anyone in the family. I've looked for them all over Canada with no luck. So I have to assume they were travelling in the United States, until a better idea comes along. In 1925, George and Louisa celebrated their 50th wedding anniversary with a family gathering at the home of their daughter Maud Bennett, in Wolseley. Their wedding was in April, but the party wasn't held until July. 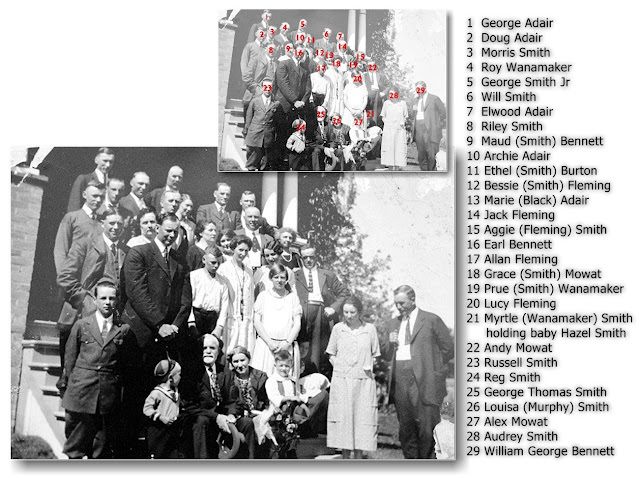 By that time, they had nineteen grandchildren, the youngest of which was my mother Hazel, who at less than 2 months old, nearly made it into one of the photos taken that day. 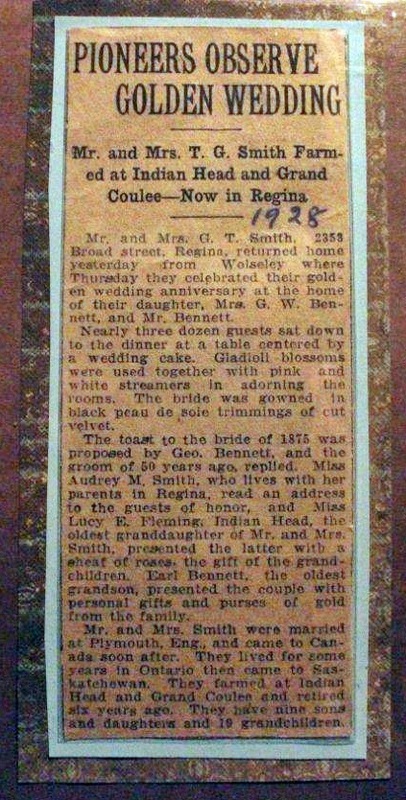 Whoever wrote the date on this clipping got it wrong. 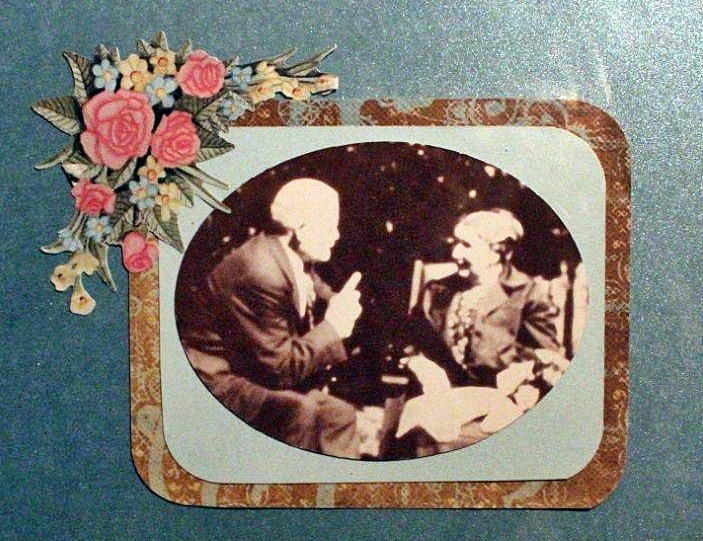 George tells Louisa a thing or two at their anniversary celebration. George, Louisa and Audrey were still in Regina in 1928, which was a very significant year - but I'll talk about that in another post.